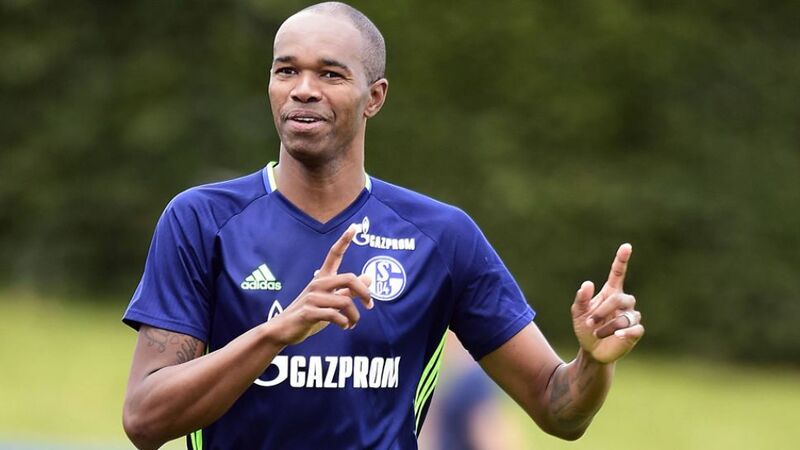 Following his surprise move to FC Schalke 04 from VfL Wolfsburg earlier this summer, Brazilian centre-back Naldo has high hopes for his first campaign with the Royal Blues. Speaking exclusively to bundesliga.com, the 33-year-old discusses how the transfer came about, his impressions of pre-season in China and his objectives for 2016/17. Sign up to the Bundesliga Predictor now! Naldo: Yes I did (laughs). I really did do a lot of travelling this summer. bundesliga.com: What did you make of China? Naldo: The visit with Wolfsburg was my first time there, and was soon followed by my second trip with Schalke. That allowed me to get a pretty good first impression. China may be the fourth largest country in the world but my homeland Brazil is the fifth biggest and isn't exactly small (laughs). The same goes for the size of the cities in both countries. But China is definitely impressive. The people are very friendly – that was the case with both Wolfsburg and China – and we were always welcomed with great hospitality. bundesliga.com: Your transfer to Schalke just before the end of last season took many fans completely by surprise. Did it really all happen that quickly? Naldo: Yes, it was all very fast. At the time I'd been in discussions with Wolfsburg for a while but for one reason or another we'd never reached an agreement. When [Schalke sporting director] Mr. Heidel got in touch and told me what he thinks of me and what role he envisaged for me, I was enthusiastic about it right away. For me moving to Schalke is another big, new challenge that I'm really looking forward to. "Embolo's a muscular striker who has great qualities and has a great future ahead of him." bundesliga.com: Schalke are a big club steeped in tradition. Have you felt that in your three weeks there so far? Naldo: Definitely. I've never experienced so many fans coming to watch training. I can hardly wait for our first home game of the season, on Matchday 2 against Bayern. We'll have 62,000 fans behind us, which is amazing. Obviously the opponent might be better, but we need to make life as tough as possible for them – for the fans and for ourselves. bundesliga.com: Schalke have not stated what the season objective is for 2016/17, but you have clearly said that qualifying for the UEFA Champions League is the aim. Does that not increase the pressure on you? Naldo: I don't think so. Schalke have played in the Champions League seven times in the last ten years and being in the mix at the top has to be the aim, alongside Bayern, Dortmund, Gladbach and Leverkusen, who all want to be in the Champions League too. bundesliga.com: Despite your signing, Breel Embolo is considered to be Schalke's biggest transfer this summer. What do you make of him? Naldo: I've never played against him but have seen him a couple of times on TV. He's a good lad who laughs a lot. He's a muscular striker who has great qualities and has a great future ahead of him.